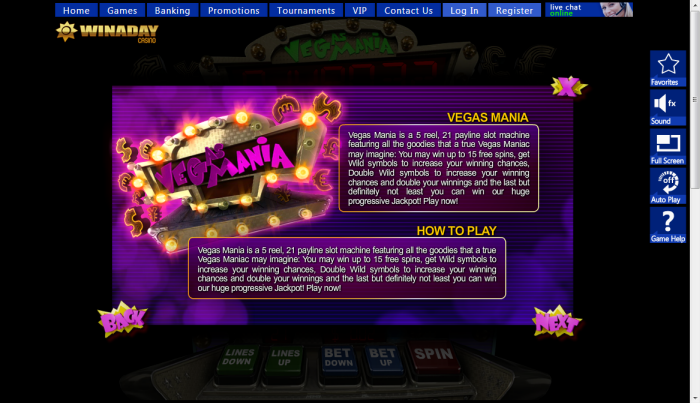 Overview: The Vegas Mania Slot Game is among the most popular instant play casino games available at Win A Day Casino. 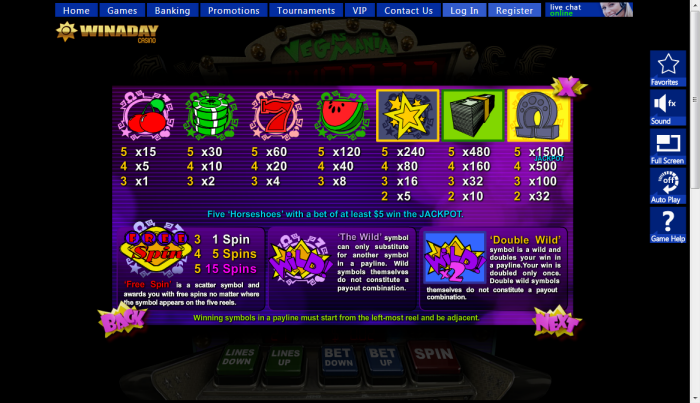 It is a 21-payline, 5-reel slot game, which features free spins, multipliers, a progressive jackpot and a wild icon. 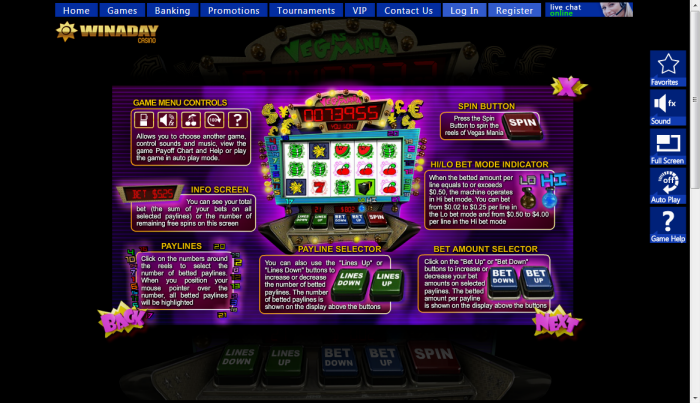 As the name suggests, the game is themed around the fabulous city of Las Vegas. 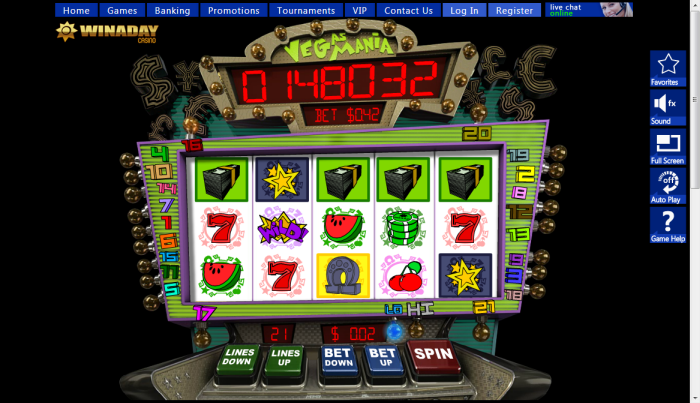 Upbeat music associated with Las Vegas plays constantly on the video slot, which offers an exhilarating experience. 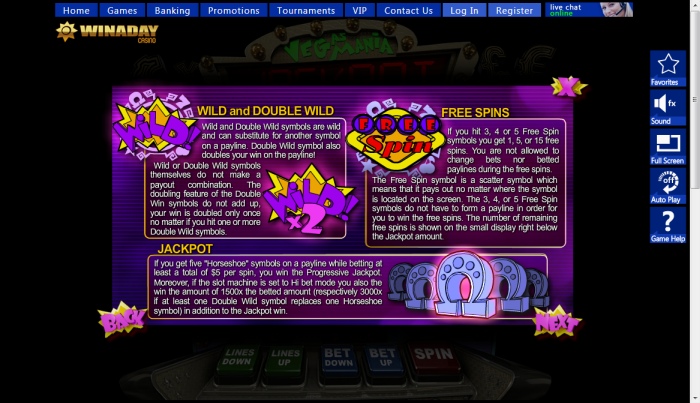 Free Spin is a scatter symbol that presents you with free spins if it appears on any of the reels. Three Free Spin icons will hand you one free spin, four icons will award you with five free spins, and five icons will present you with fifteen free spins. 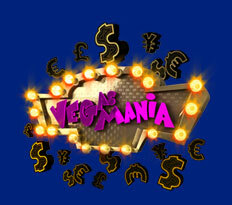 Your winnings can be significantly increased by playing the free spins feature on the Vegas Mania slot game. Similar Slots: If you like Vegas Mania, you might like these other slot machines from Win A Day Casino: Busted!, Dollar Storm, Enchanted Gems, Hold The Riches, Wheeler Dealer.